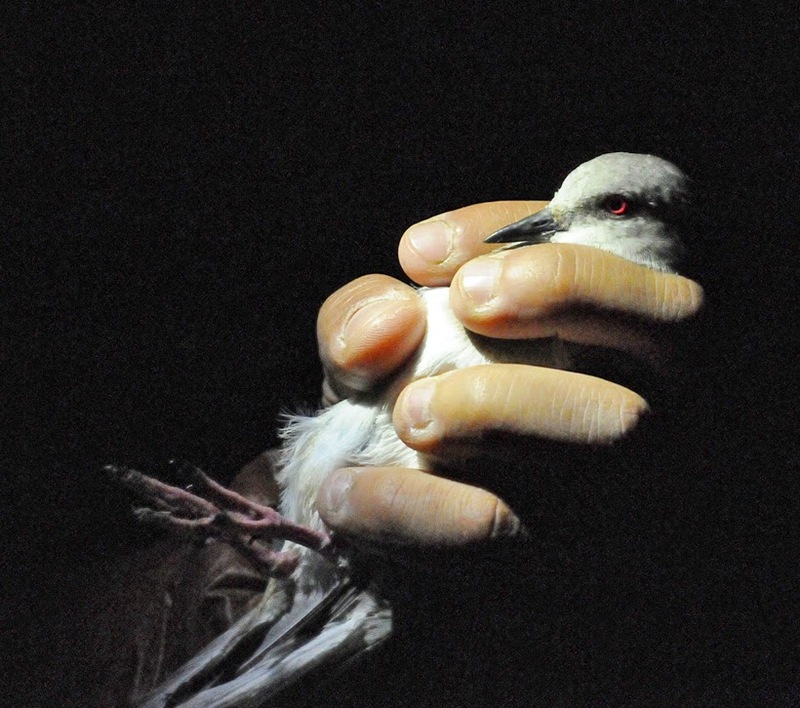 Wader Quest: Magellanic Plover project underway. 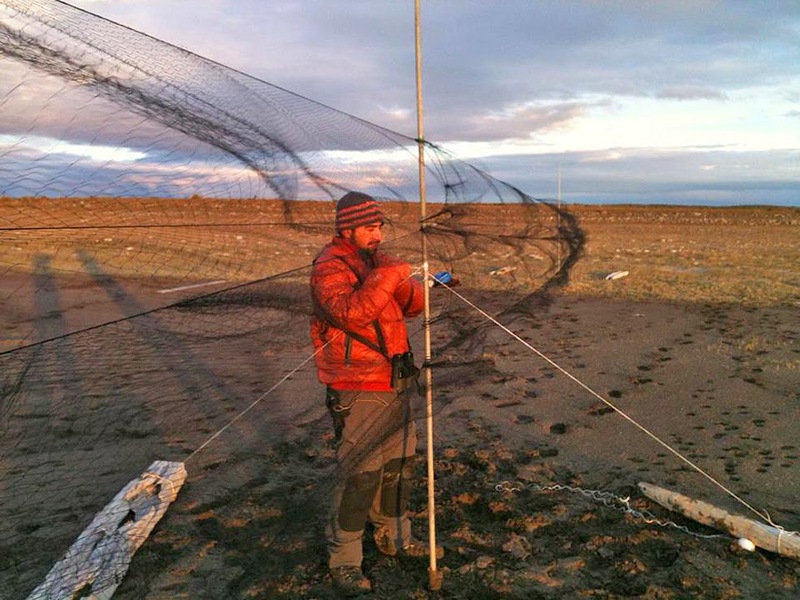 We have received news from Ricardo Matus who is leading the Wader Quest team in Punta Arenas to confirm that the Wader Quest Magellanic Plover ringing project is under way. Adult Magellanic Plover Pluvianellus socialis ready for ringing. Photo: Ricardo Matus. Our project team comprising Ricardo along with his wife Olivia Blank and Fernando Díaz were at Los Palos and found around 18 Magellanic Plovers including at least three juveniles. They set a couple of the new nets that we had provided and captured a total of four birds including two fairly large juveniles. The next evening three more were captured. Juvenile Magellanic Plover Pluvianellus socialis ringed and flagged and ready for release. Photo: Ricardo Matus. 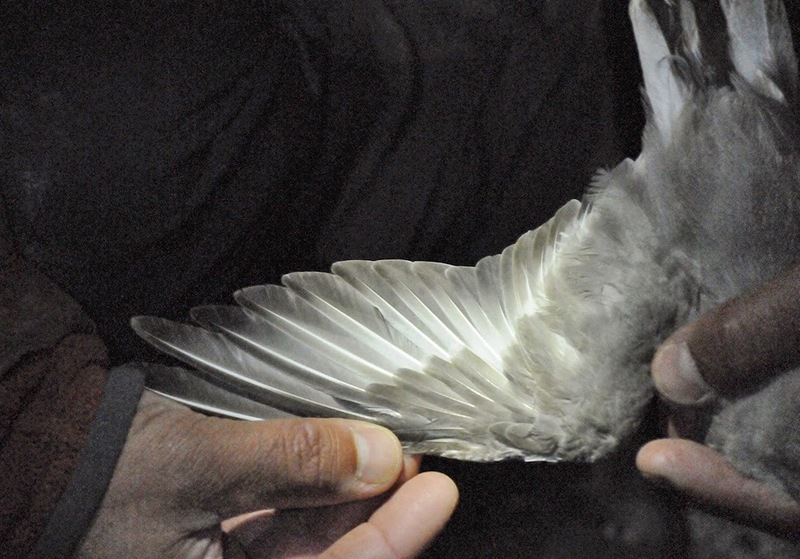 Ricardo says that the project is in good shape and he hopes they'll add a few more ringed birds in the coming months when they will be trying to capture some birds on Tierra del Fuego too. From what the team has seen (the large juveniles and no nesting behaviour from the adults) it looks like the breeding season has come to a close so it is unlikely now that any young birds will be ringed in the nests. Adult Magellanic Plover Pluvianellus socialis wing pattern. Photo: Ricardo Matus. 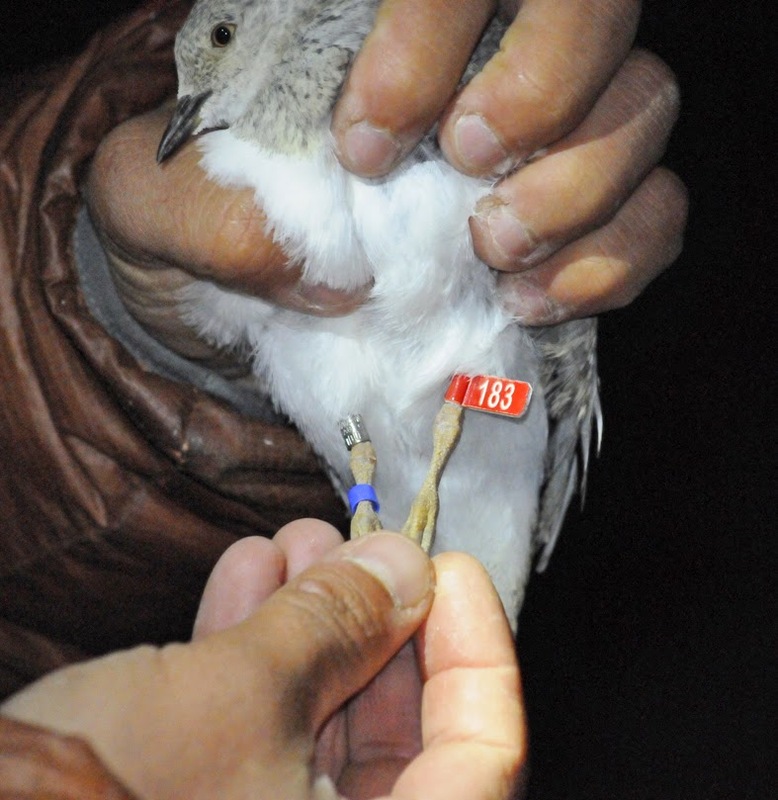 This is a good start as we now have seven Magellanic Plovers ringed with more likely to follow soon as numbers increase in pre-migratory concentrations. One of our aims is to fit geolocators to a small number of birds with a view to tracking their movements away from the breeding areas; this we expect to start next breeding season. If you would like to help with the funding of this project you can do so by clicking on the donate button below the Magellanic Plover picture at the top the of the side bar to make a donation. Great job! Always glad to hear good news about near threatened species, especially when you know that human impact is main responsible for destruction and degradation of their natural habitat. I read that there is about 1500-7000 mature individuals of this species, is that right? Hi Sandra, thanks for your comment. You can see from the estimate that it has a wide range which indicates that the population is not well studied. It is hoped that projects like ours will begin to fine-tune these estimates making them more accurate and therefore more useful so that any population trend will be detectable. This in turn will enable us to investigate what is going on and hopefully to then manage the problem if we can.